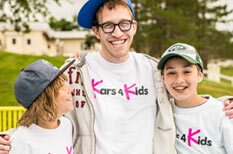 You've come to the right place – our Kars4Kids crew in Indianapolis can pick up virtually any car donation, regardless of condition, and usually without a title too. Here’s what our Indianapolis donors had to say about how donating went for them. Excellent. No problems. Smooth transition. The service was great. The customer service replied to me immediately and attended to all my questions.